We can’t believe it’s 2019 either! As the holiday rush settles, January offers the opportunity for respite, self-reflection, and a bit of planning ahead. 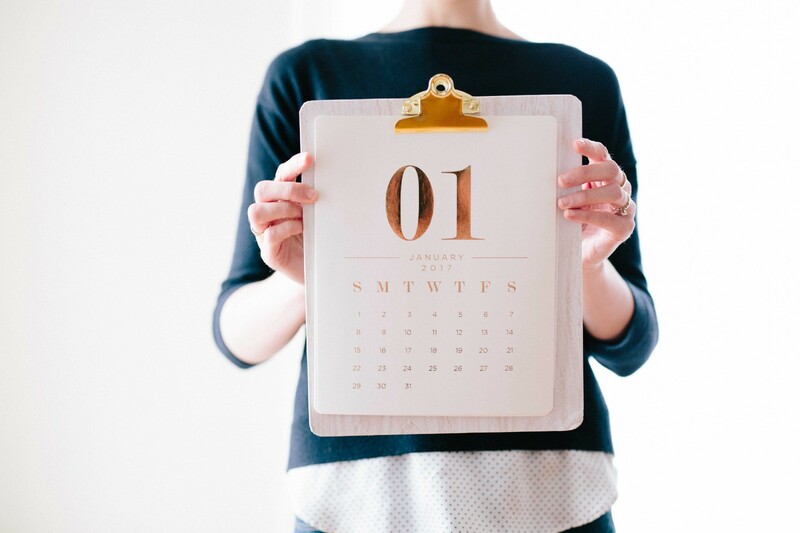 Your nonprofit can embrace the new year, too. It’s your chance to gather as a team, reflect on last year’s successes, reevaluate current practices, and establish your organization’s intentions moving forward. To start the conversation, we present ten New Year’s resolutions that your nonprofit can stick to! Is your nonprofit adapting to changes in the way your community — and the world — operates? What do you need to know about the latest in charitable giving, disaster preparedness, cybersecurity, volunteer engagement, or donor retention? Keeping up with it all can seem like an overwhelming task. In 2019, resolve to spend some time each week browsing the latest on the trends that are most important to you. At Galaxy Digital, we make a priority to keep up with the trends — and we’re eager to share out knowledge! Recently we recently wrote about volunteer retention, employing today’s technologies, and planning your 2019 outreach strategy. Follow this blog, along with your other favorite resources, to boost your knowledge throughout the year. You’ll thank yourself later! The pursuit of continuous growth will empower you and can ultimately helps you to improve your community. Identify a skill you would like to improve, a gap in your knowledge, or an attitude you’d like to change, and get to work in 2019! Attend a conference, find a workshop, log in to a webinar … or resolve to read that book you’ve been meaning to get to! 3. set achievable goals — and celebrate! Goals are important; they guide our work and help us grow. Set targets that are challenging but achievable for yourself, your organization, and even your volunteers. For every goal, have a plan of action that outlines steps and indicators of success. You can set goals for volunteer responses, hours, and fundraising, and your software will keep track of your progress and generate reports that will demonstrate your organization’s achievements. Don’t forget to celebrate victories large and small — you’ll boost morale and feel motivated to move forward! Thanking your donors is vital to donor engagement and retention. Personal thank yous show that you appreciate each contribution; so while a “thank you” email is great, a personal phone call is even better! Check out this article on the best ways to thank your donors. Having a social media presence will increase your organization’s visibility. Start the new year with a social media strategy that outlines how you will reach target groups and the kinds of information you want to share. Plan to address comments on your Facebook feed with warm responses; your audience will feel like you care about their feedback. For more about crafting a social media strategy, give this article a read. Your board should represent the diverse voices of your community. Bring on members who are directly involved in the community you serve. Reach out to those who care about your cause and will bring new insight or skill sets to the team. 7. volunteer with a partner agency (or three)! This is your chance to learn more about your agencies and show that you care about their cause. You’ll get to know the volunteers that are using your site, as well as the community members you serve. We think the best way to recruit volunteers is to be one! A new year means new volunteers, agencies, and opportunities. Make room for them by combing your site for invalid emails and duplicate contacts, and make sure volunteer and agency data are complete. When your site is prepared and your database streamlined, you’ll be able to focus on what’s important throughout the year. If you’re using a Galaxy Digital platform and aren’t sure where to start, contact our support team, and they’ll help you get started on the right foot! Breathe new life into your site. Try updating your spotlights, or add a batch of recent images to your “Our Community” page. A visual refresh will keep users clicking through your site — they may just stumble upon a new opportunity they’ll love! Sprinkle in a bit of admin by reviewing ongoing needs (are they still active?) and checking the links on your site’s homepage (do they still work?). Planning for the future is key to success, but savoring the now allows us to both feel fulfilled and be engaged. Thank your staff, enjoy spending time with the community members you’ve helped, and don’t be afraid to feel proud of all the amazing work you do! We hope these suggestions inspired you to grab a pen and paper (or your laptop, because it is 2019 after all!) and get planning! With achievable goals in mind, your organization will be ready to take on another year of cultivating good.